The PEN Trio bridges performance and scholarship to explore and expand the repertoire for the traditional trio d’anches. The ensemble regularly tours throughout North America and abroad and has become known for the quality and energy of their performances. The PEN Trio has visited dozens of universities and has performed at numerous academic conferences, chamber music series, and private functions. Recent highlights include performances in Cuba, China, Guatemala, Hong Kong, Panama, and Trinidad, as well as appearances at the annual conferences of the International Double Reed Society, ClarinetFest, College Music Society, with flutist Francesca Arnone at the 44th Annual National Flute Association Convention, and National Association of College Wind and Percussion Instructors, as well as radio broadcasts on Michigan and Alabama Public Radio, as well as national radio stations in Cuba (CBMF) and Guatemala (TGW). Louise Dyer-Hanson, founder of the publishing company Éditions de l'Oiseau-Lyre, heard the group in its early days and quickly became enamored with the sound of the ensemble. Consequently, she helped the group commission several new works from leading composers that were eventually published by Éditions de l'Oiseau-Lyre. Ultimately, this group of pieces was published together as a collection that remained in print for over fifty years. The Trio d'Anches de Paris had nearly a dozen works written for and dedicated to the ensemble, including compositions by Bozza, Franck, Ibert, Milhaud, and Tomasi, which now forms the core of the standard repertoire. The PEN Trio was formed, in many ways, to continue the work that the Trio d'Anches de Paris began nearly one hundred years ago. Since 2010 the PEN Trio has premiered works by William Bradbury, Jenni Brandon, Allen Cohen, Jon Grier, M. Shawn Hundley, Peter James Learn, Wendy Wan-Ki Lee, and Aleks Sternfeld-Dunn, and has promoted these works in concert around the world. In 2013, the PEN Trio partnered with Trevor Cramer and TrevCo-Publishing to create the PEN Trio Collection. This collection includes new works as well as new editions of existing works to make the trio d'anches more accessible to musicians around the globe. All of the members of the PEN Trio are passionate teachers and are often asked to do master classes when performing at schools. These classes are always offered free of charge and are tailored to the needs of the students at that particular institution. The members of the PEN Trio are happy to do traditional instrument specific master classes as well as classes in chamber music, teaching woodwinds in the public schools, and panel discussions about music entrepreneurrship. The trio always makes themselves available to students after performances and often times find themselves giving impromptu mini-lessons to eager students. The month of March ended with a trio tour of the northeast United States. The trio visited several universities to give performances and classes, including: College of Saint Rose (Albany, NY), University of Maryland (College Park), University of Delaware (Newark), West Chester University (Pennsylvania), Montclair State University (New Jersey) and Ithaca College (New York). March began with a PEN Trio trip to beautiful southern France. The trio performed and taught classes at the Conservatoire du Grand Angoulême Gabriel Fauré in Angoulême and also did a performance at the Festival de Musique de Chambre Commxitus in Lignière- Sonneville. At the conclusion of their trip, Phillip continued in Paris where he played a solo recital with pianist Steven Harlos at Buffet-Crampon’s Paris showroom. The trio ended the month of February with a quick trip to Texas A&M University-Corpus Christi. The trio enjoyed working with students and performing on the Bravo Series. The PEN Trio doing a soundcheck for their concert on the Bravo Series at Texas A&M-Corpus Christi. 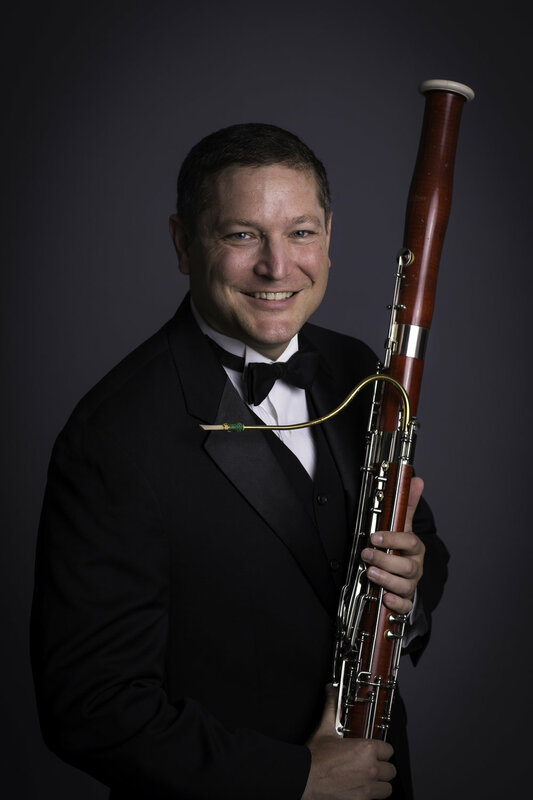 PEN Trio bassoonist Eric Van der Veer Varner appeared as a guest artist at the University of North Texas where clarinetist Phillip O. Paglialonga teaches. As part of his time at UNT Eric presented a master class and gave a solo recital in Voertman Hall. Phillip joined Eric and pianist Anatolia Ioannides for the final work on the program, Villa-Lobos’ Fantasie Concertante. November took the trio on a tour of Pennsylvania and Ohio. They visited Kent State University, University of Akron, Westminster College and Youngstown State University where they presented performances and classes. The PEN Trio was especially happy to have a chance to perform for composer Daniel Perttu while at Westminster College, composer of Three American Canvases which the trio premiered in New Delhi, India in May 2018. The PEN Trio just wrapped up a tour of Colorado and Wyoming. They did performances and classes at Colorado College, University of Colorado (Boulder) and at the University of Wyoming. Exploring the Garden of the Gods in Colorado Springs. Eric Van der Veer Varner giving a master class at the University of Colorado (Boulder). 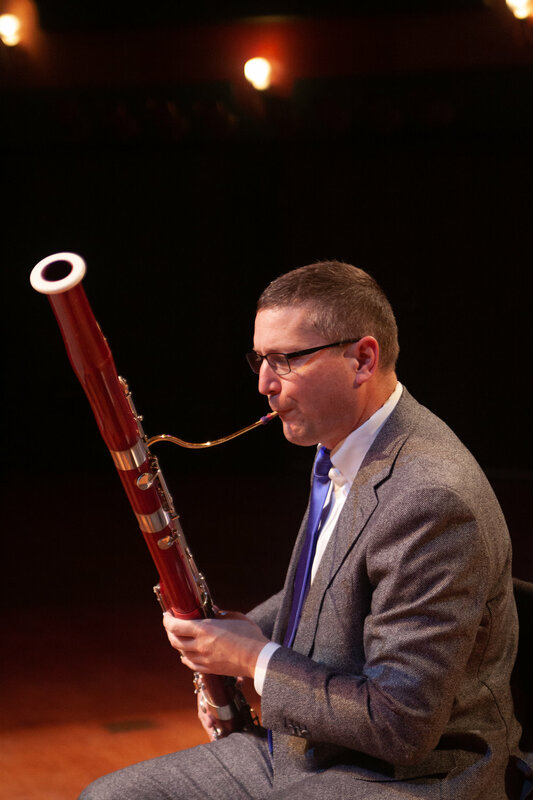 PEN trio bassoonist, Eric Van der Veer Varner spent the month of July in Bellingham, Washington, for the 35th Season of the Bellingham Music Festival, where he performed with the Bellingham Festival Orchestra, under the baton of Michael Palmer. PEN trio clarinetist, Phillip O. Paglialonga, spent the past week at ClarEssentials on the campus of the University of North Texas. ClarEssentials is a summer program for talented high school clarinetists in Denton, Texas. During the course of the week Phillip presented a chamber music recital with UNT colleagues Deborah Fabian, Kimberly Cole Luevano and John Scott, taught private lessons, presented a master class and coached chamber music. Phillip with the clarinet quartet he coached at ClarEssentials. 2017 Bellingham Festival Orchestra bassoonists (L-R) Eric, Andrew Cuneo (St. Louis Symphony Orchestra), and Mona Butler (Pacific Northwest Ballet and Seattle Opera). ClarEssentials faculty members Kimberly Cole Luevano, John Scott, Phillip O. Paglialonga and Deborah Fabian in front of ClarEssentials students. Glickman Popkin Bassoon Camp friends (L to R) Rob Schmidtke (Red Wing, MN), Eric, Ann Shoemaker (Baylor University), Jefferson Campbell (University of Minnesota-Duluth), and Sasha Enegren (Montclair State University). The PEN trio just finished the week in Panama at the 12º Festival Internacional de Música Alfredo De Saint Malo. The trio performed a recital with Argentinian guitarist, Federico Díaz, at the Biblioteca de Boquete that included arrangements by Dîaz. The trio also appeared as soloists with the Festival Orchestra under the direction of Darwin Aquino in Sergio Delgado's new Triple Concerto. While in Panama the trio also worked extensively teaching at the festival. The PEN trio performed at the Royal Birmingham Conservatoire in England before traveling to India. They performed in New Delhi at the India International Centre, sponsored by the Delhi Music Society and the Delhi Music School, in a program that included the premiere of Three American Canvases by composer Daniel Perttu. 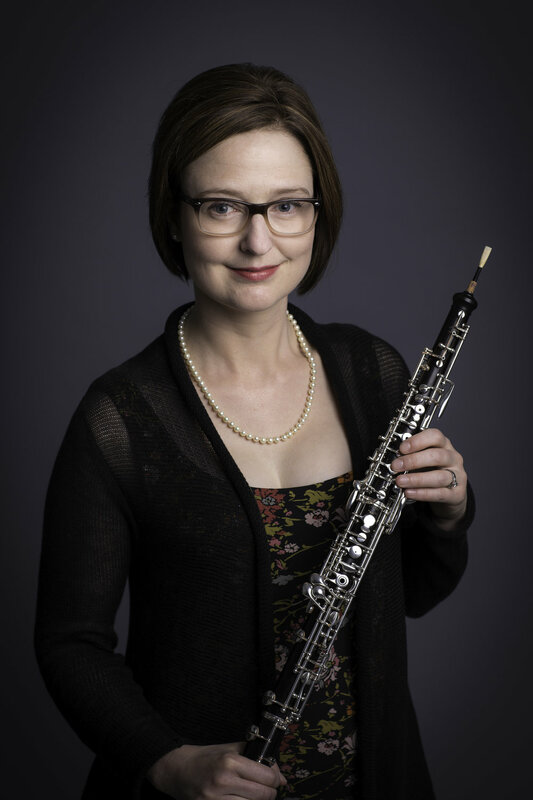 PEN trio oboist Nora Lewis visited the Northwestern University Bienen School of Music this week to present a master class for the oboists there. The PEN trio with distinguished clarinetist Anna Hashimoto at the Royal Birmingham Conservatoire. During their trip to India, the PEN trio also visited the Taj Mahal. Clarinetist Phillip O. Paglialonga performed James Whitbourn's Annaliese in Washington, D.C. at the John F. Kennedy Center for the Performing Arts earlier this month. Click here to watch this performance on the Kennedy Center website. Click here to read a feature on PEN Trio bassoonist Eric Van der Veer Varner in Voyage MIA magazine. Buffet Crampon just announced that PEN trio clarinetist Phillip O. Paglialonga has become an Artist/Clinician for the company. Phillip performs exclusively on a Buffet R-13 Bb clarinet and a Buffet Festival A clarinet. Nora after her master class at Northwestern University with students and Chicago Symphony musician Michael Henoch. Congratulations to PEN Trio oboist Nora Lewis who just accepted a position at the Lawrence University - Conservatory of Music. This is a particularly special position for Nora since she did her undergraduate studies at Lawrence and will follow her former professor, Howard Niblock. PEN Trio clarinetist Phillip O. Paglialonga will be moving to Texas this summer! Phillip just accepted a position at the University of North Texas where he will teach applied clarinet at both the graduate and undergraduate level. For more information about the clarinet studio at the University of North Texas visit: https://clarinet.music.unt.edu. The PEN trio just returned from San José, Costa Rica where they did a week-long residency at the Universidad de Costa Rica, culminating in a featured performance in the Sala Cullell. While in San José, the trio presented master classes for students at the Universidad de Costa Rica as well as from the Instituto Nacional de la Música. The PEN trio just returned from Guatemala where they were performing and teaching for several days at the Escuela de Musica Metropolitana in Guatemala City. The trio was also featured on Guatemala's national radio station, TGW. The show, "Musica en Transito" is a regular hour-long program hosted by Jorge Sierra. The broadcast included performances of works by M. Shawn Hudley, Villa Lobos, Canteloube and Milhaud, as well as interviews with the help of Pedro Rendon (translator). All titles in the PEN Trio Collection are available at TrevCo-Varner Music (www.TrevCoMusic.com).